The second phase of NGGPS testing took place from from July 2015 to August 2016. 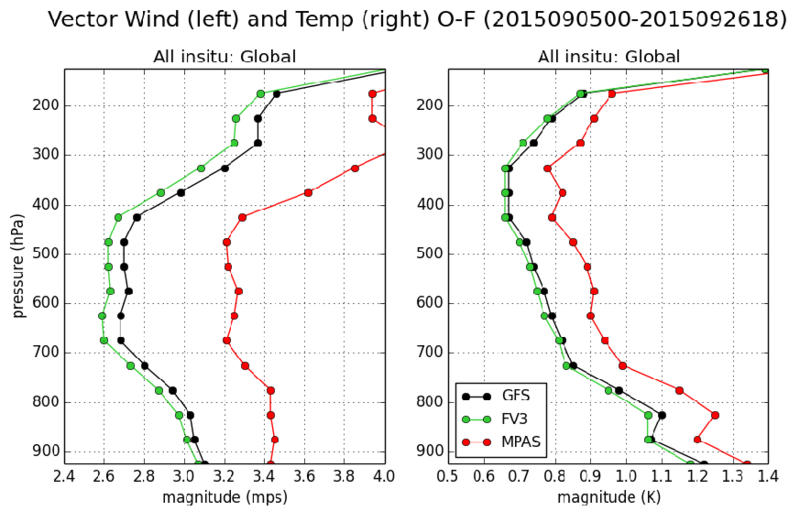 The goals included implementing the GFS physics package for the remaining competitors to run a series of 10-day hindcasts. The full results are available here. Figure 1. Performance benchmark of the kinetic energy spectra. Figure 2. 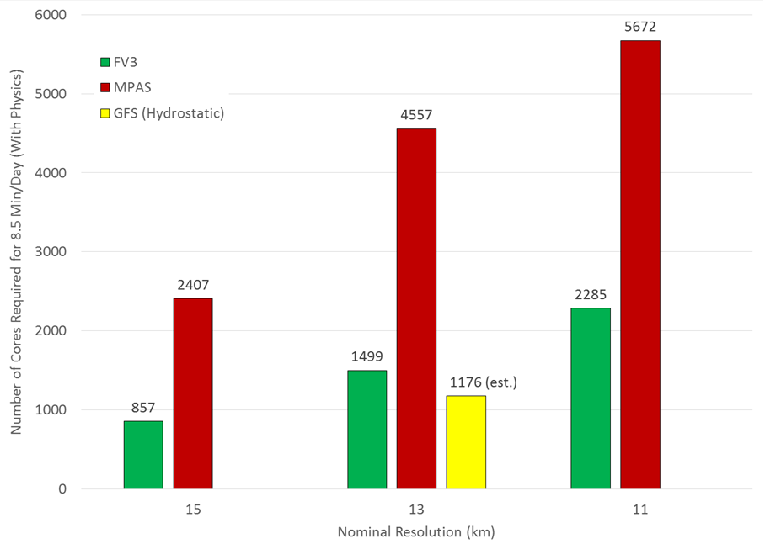 Retrospective forecasts were done every 5 days of 2015 at 13 km resolution. The anomaly correlation shows that the fvGFS skill was very close to that of the GFS, using GFS initial conditions and GFS physics. Figure 3. Phase II performance benchmark results using the operational requirement of 8.5 minutes/day. 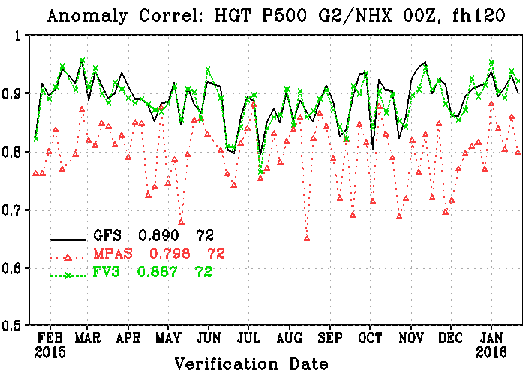 The non-hydrostatic fvGFS does not require a drastically higher number of cores than the hydrostatic operational GFS. Figure 4. RMS fit of first-guess to all in-situ observations to test Data Assimilation cycling. 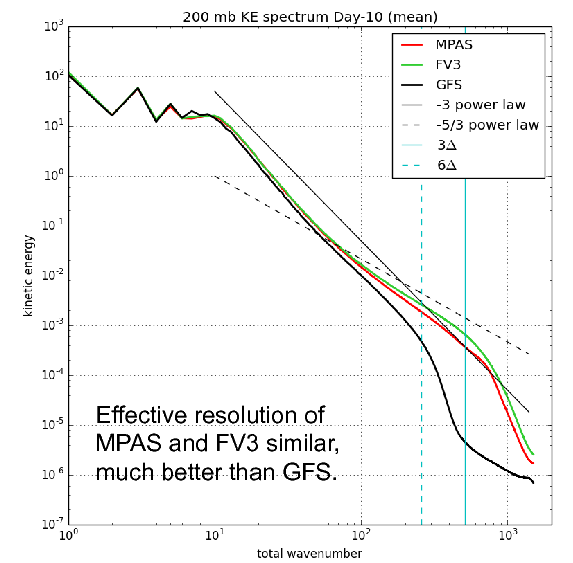 fvGFS closely mirrors the error of the GFS, but shows small improvements in vector wind and and temperature at all heights.